SMG Studios or Sticky Moon Gases, Six Milk Gangs and Singing Mini Gibbons as there website tells you, have just released there 'highly addictive, one button, space disco, skill timing game', One More Line. I caught up with Patrick one of the lead designers from the studio earlier this month to chat about the game and their previous title OTTTD (Over The Top Tower Defense). G'Day Pat, so can you start by telling us what got you started in the industry? We’d been doing digital creative work for clients for over a decade, and a lot of that was games. I guess that was the “in” for where we are now. In terms of experience in game design, managing projects, and executing a finished game from initial concepts, when we started SMG as a full-time indie studio in 2013 we were pretty much ready to go. So who is SMG Studios and how did it come about? SMG studio is a team of about five people that had all worked together for years as part of the digital agency Soap Creative. SMG is still very much a part of Soap but is a fully self-contained operation and core team. It’s something we wanted to do for a really long time. I guess you’d call it lead designer and coder. We don’t really use official titles and we’re all multi-role on projects. Having just released One More Line, I’m now working on Hyper Death Robot Party - a console couch multiplayer game. 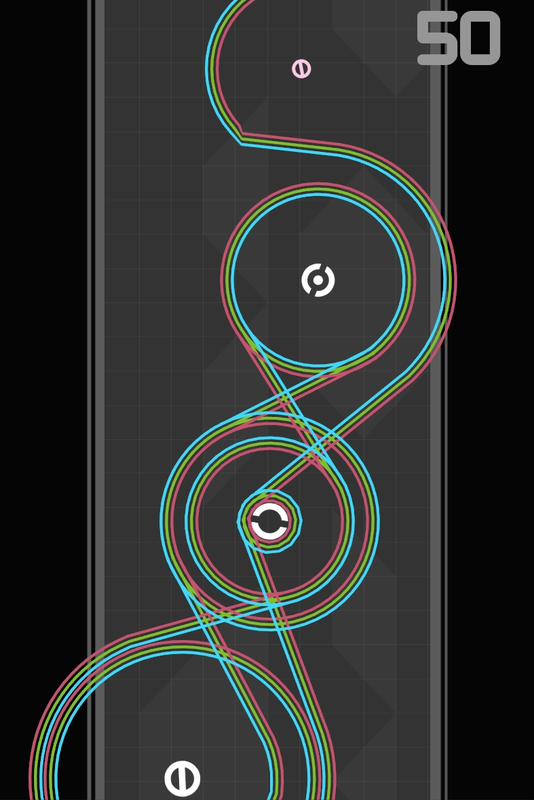 I’m also on a new round of prototyping for simple mobile games (last round spawned One More Line), which is something we try to do as often as possible. I think the best way to explain One More Line is that it’s an extremely simple game that demands you master your own reflexes, timing, and spatial judgement. We wanted to make a game with no unnecessary complexity in rules or mechanics, just a nice rush as you get a feel for the movement and get further and further without crashing. What made you decide to jump from a tower defence game to an ‘An addictively simple game played with your thumb’? This is actually easy to answer - after OTTTD, we set out to make its antithesis. 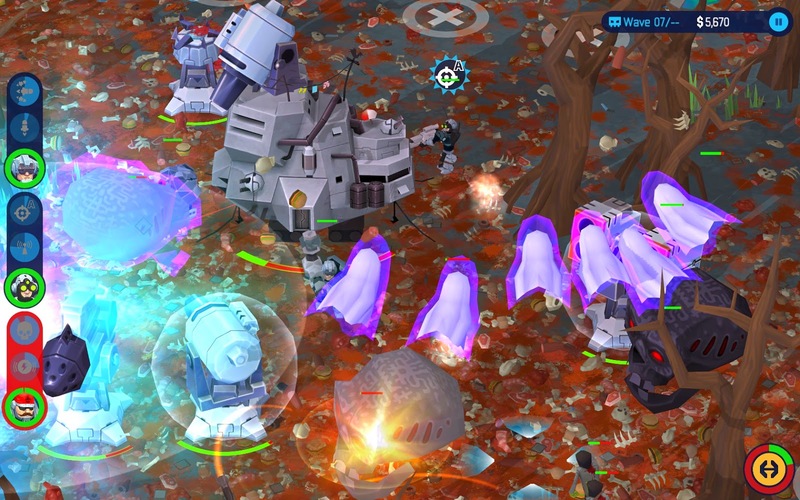 Where OTTTD is deep in mechanics, heavy in content, tactically demanding and with long gameplay sessions, we wanted to try the absolute opposite. Both ends of that spectrum can be fun and engaging. What were the hardest challenges when designing the game? I’d have to say, just making it feel “right”. The speed, layout of obstacles, etc. It took lots of tweaking and testing. When is One More Line release? It’s out! iOS, Android, and Amazon. 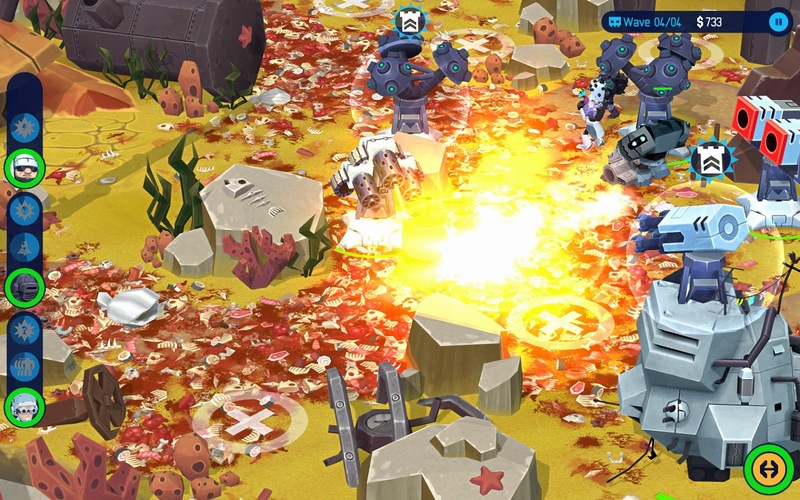 About your previous titles, what does OTTTD stand for and where did the name come from? It stands for Over the Top Tower Defense. I think it came from our indecision over a couple dozen other name ideas - stuff like “Dimensional Troopers” etc, where we thought… That’s just not weird enough for the kind of absurdity we’d filled the game with. It’s game we’d always wanted to make. A big tactical/action game with crazy gibs and explosions, weapons, skill trees, and literally the most insane roster of monsters we could think up. We carried forth some established and proven design ideas from other popular games in the genre, but then expanded and added our own twists and ideas from there. One of the main ideas was to add an active/action layer on top of a core TD element as we hadn’t seen that done before to the level we were interested in. I could probably list other influences there as diverse as Command & Conquer and even Team Fortress and Battlefield for different roles within an active squad. It’s a very smooth game to play with great character models, was this a big challenge to create on the ISO? iOS and Android devices are getting more than powerful enough for this kind of game now so it’s really gotten a lot easier in the past couple years. We did have to be pretty careful about the amount of detail in hero and enemy models, but there’s lots of good tricks to get around that. At the rate of hardware advancements, I think if we ever did an OTTTD sequel for mobile we’d be able to totally go to town on the visuals in a whole bunch of new ways. There has been a lot of drama surrounding game funding in Australia, how has this affected SMG? OTTTD received some funding help from Screen Australia and that thankfully wasn’t affected by the changes. We’re just sad to see that others won’t get the same opportunity, as there are a lot of great developers here and it’s an industry that the Australian Govt. should be growing and helping as a long-term plan. What games influenced you who you are? What does the future hold for SMG Studios? Hopefully more of the same! It’s been a great ride since we started a year and a half ago, there’s still a huge number of game ideas we’d love to work on, as well as expanding on existing ideas. We like to be pretty open on social channels about what’s happening in the lab, so stay tuned there. Make sure you check out One More Line on the App store (Here). And watch the trailer for OTTTD!